Antofagasta 4.1. / Pudahuel 8.+9.1. / Las Condes 12.+13.1. 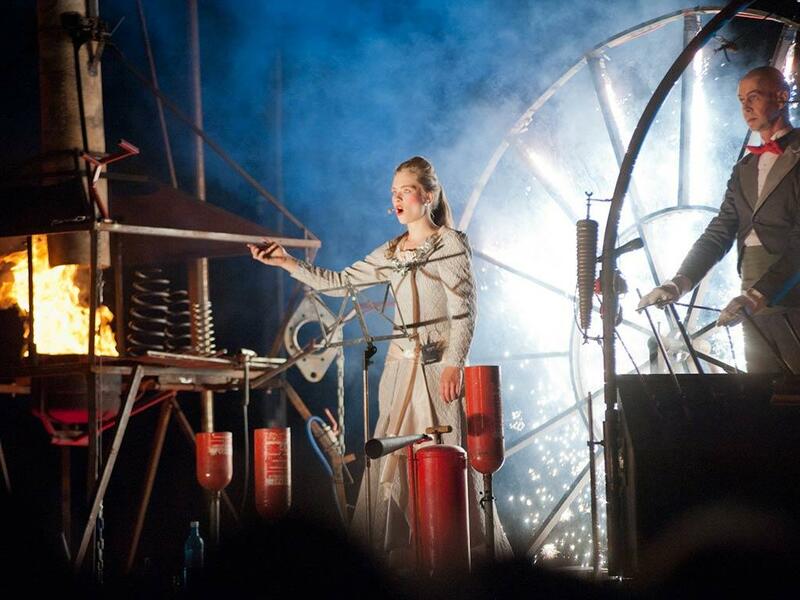 Theater Titanick, based in Münster and Leipzig in Germany, is one of the largest open-air theatre companies in Europe. 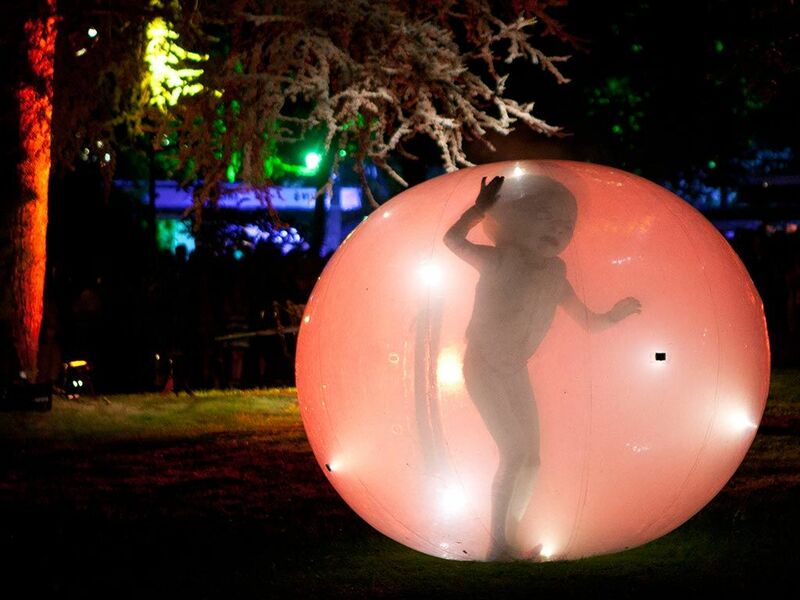 Their award-winning productions tour worlwide, presenting worlds of images able to engage and fascinate all cultures. Are you searching for a large scale open-air performance for a city square, a park, or as a parade across the city for several thousand spectators? Or do you have a special occasion – city celebration, special opening – for which you would like to create a special project? You can find out more about Theater Titanick’s work by browsing through their current productions and past projects. You can find out about current performance dates and places in the Tour dates. To contact Titanick directly, please go to Contact. 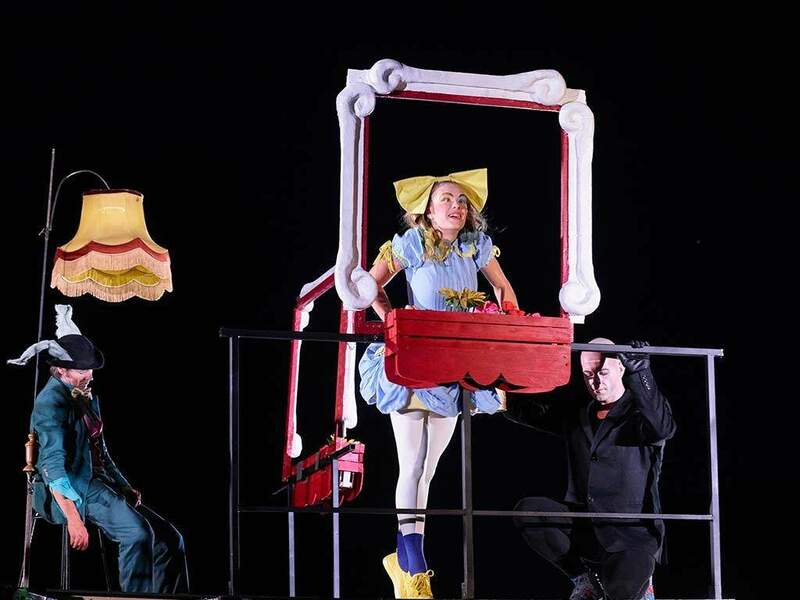 New open-air production about the loss and search for a new home, inspired by Lewis Carroll’s “Alice in Wonderland”. 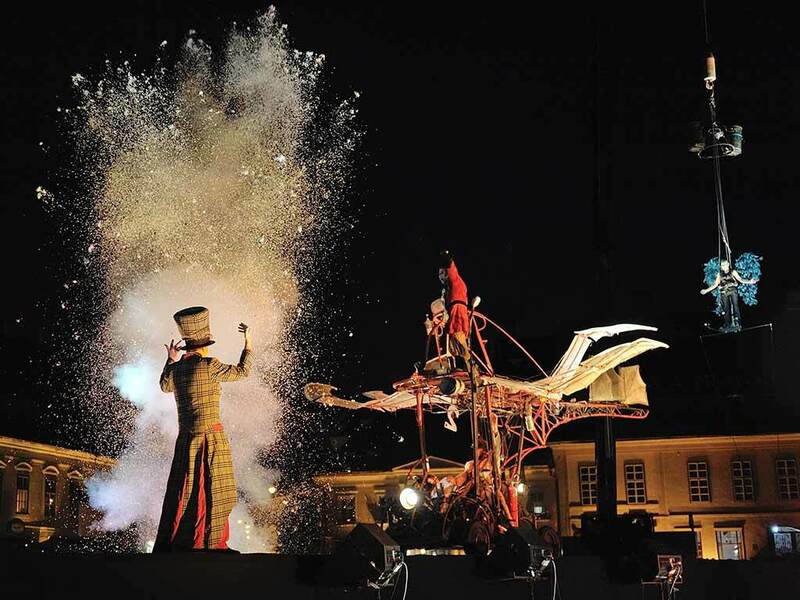 The dream of flying is celebrated in a parade through the city centre with Fanfare Le S.N.O.B..
A rhythmical choreography of fire and sound. A walk-through dream world inspired by the paintings of Hieronymus Bosch.